Founded in Oxford in 2008, Ba-Laylah Productions is dedicated to creating visceral, bizarre, and highly stylized theatre, adapting and re-translating “unadaptable” works of 19th and 20th century European literature, melding together works of the theatrical canon, and pushing the limits of interactive and immersive theatre. Inspired by the site-specific, immersive work of Punch Drunk, as well as by the rich visual style of Georgian directors Levan Tsuladze and Robert Strurua – two directors who use the stage as a place where a myriad powerful cultural and mythological symbols meet – Ba-Laylah Productions is dedicated to fusing a passion for the “classics” with a sense of innovation and play. Ba-Laylah has performed at a number of venues, including the Royal College of Surgeons, Edinburgh, and the Coronet Theatre, London, where sequences from O Human Child were performed as part of Satan’s Rout, sponsored by the Last Tuesday Society. 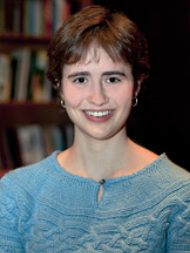 Tara Isabella Burton is pursuing doctoral research in French decadent literature and theology at Trinity College, Oxford. She has previously directed productions of Mervyn Peake's Gormenghast (also adapted), Shakespeare's Antony and Cleopata, Pirandello's As You Desire Me, Chekhov's Three Sisters (as a promenade piece), and the devised "text mashup" O Human Child. Her first original play, There's Only One Lord Byron, appeared at the Edinburgh Fringe Festival in 2010. Her fiction has appeared or is forthcoming in Arc, Shimmer, The Doctor TJ Eckleburg Review, and more; her nonfiction, travel writing, and theatre criticism can be found at Los Angeles Review of Books, The New Statesman, Conde Nast Traveller, Guernica and more. In 2012 Tara won The Spectator's Shiva Naipaul Memorial Prize for travel writing. Tara is represented by the Philip G. Spitzer Literary Agency. Her professional website can be accessed here. 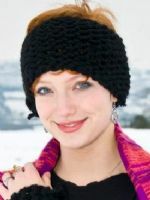 Elizabeth Butterworth is pursuing an MSc in Comparative and International Education at New College, Oxford. She has worked as a stage manager, assistant stage manager, props master, and production manager for student and community theater productions in the US, including The Skin of Our Teeth, Richard III, and Spring Awakening. She joined Ba-Laylah as a stage manager for O Human Child, and will be producing Ba-Laylah's newest show, Midnight at the Rue Morgue: the Madness of Edgar Allen Poe. Liz’s research focuses on primary school arts education. She directs a program, which she founded in 2009, that offers free music lessons to kids from low-income backgrounds in her home-city of Worcester, Massachusetts. After theater and music, Liz’s favorite things include Latin poetry, bad mystery novels, and strong coffee. Alice is pursuing an MPhil in Visual, Material, and Museum Anthropology at Hertford College, Oxford. She has long been involved in physical theatre, running workshops for schoolchildren with the Old Vic New Voices in 2006. She takes performance workshops to local primary schools with Oxford University Light Entertainment Society. Alice joined Ba-Laylah in 2012, when she took the part of Irma Prunesquallor in the company’s adaptation of Gormenghast. Alice is currently the designer and production manager for Midnight at the Rue Morgue. When she is not performing, Alice studies in one of the world’s leading ethnographic institutions, the Pitt Rivers Museum, working with their vast collections to examine the creation, function, histories and meanings of material culture. Working alongside Indigenous research visitors to the PRM, Alice explores issues within museum representation. In her spare time, Alice takes pictures, plays music, and designs her own hats. Filip is currently studying philosophy and economics at University College, Oxford. In both school and university he has choreographed and danced in several shows, including ‘The Barefaced Night’ and ‘A Soldier’s Tale.’ This is Filip’s second performance with Ba-Laylah, first falling in love with the company’s experimental theatre in ‘O Human Child.’ A curiosity and excitement for language and expression is palpable in both his theatrical and academic career; in the latter case, he is especially interested in the philosophy of both logic and language, which he hopes to pursue at the graduate level. 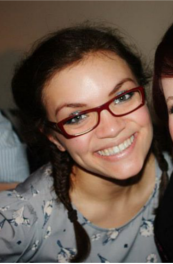 Rosie is an undergraduate studying Human Sciences - a combination of biological and social sciences. Alongside her academic interest in all things human she has found herself immersed in an eclectic range of productions; al fresco Greek plays (including Ion and The Bacchae), adapted radio plays (Anthony Mingella's Cigarettes and Chocolate) and most recently Midnight at the Rue Morgue. She enjoys the immersive format employed by Rue Morgue and the way audience engagement makes each performance something of a surprise. Claire is an English student whose love of performing is equal to her love of literature, which she finds most exciting when it's brought to life on stage. Her roles have ranged from frightening magical creatures lurking in enchanted woods to Restoration-Comedy strumpets. Previous plays she has performed include The Country Wife, The Importance of Being Ernest, Red Devil. Previous Balaylah roles include Charmian in Antony and Cleopatra, Peaseblossom in O Human Child. She is a fan of everything non-naturalistic and experimental, with a little touch of the uncanny. After graduating from Balliol College, Oxford with a Master's degree in Old English and Old Norse Literature Brian went on to train at East 15 Acting School, graduating in 2012. Roles during training included Lopakhin in The Cherry Orchard, Shooter in Sam Shepard's play Action, Claudius in Hamlet and The President in The Madwoman of Chaillot. Brian is the Artistic Director of Reverend Productions, an Oxford-based theatre company which specialises in producing critically acclaimed new interpretations of classic literary works and on immersive improvisation.The company's latest project, In The Kingdom of the Blind, is currently under development in anticipation of performances in London and Edinburgh in 2013. Brian is represented by The Ronnie Marshall Agency. Alex Wilson is currently studying English at Oriel College. He has been extensively involved in drama, from youth theatre to time spent at Guildhall Drama School, and most recently numerous university productions. These included new translations/adaptations of Sartre’s Huit Clos and Kafka’s A Country Doctor, as well as Merchant of Venice and currently Midnight at the Rue Morgue. He is fascinated by the potential of melding together literary language with improvisation and expressive movement for a multisensory theatrical experience.